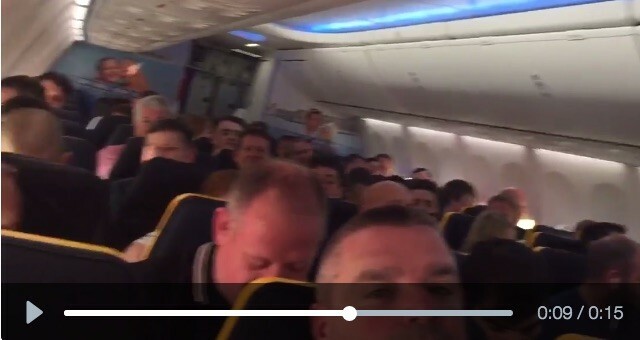 (Video) Plane full of Reds sing Bob Marley on flight to Basel! This great clip of Liverpool fans singing our version of Bob Marley’s classic Three Little Birds is doing the rounds today. A plane to Basel, jam-packed with Reds on their way to the final against Sevilla, was in brilliant spirits as supporters embark on Switzerland to watch Liverpool attempt to equal our opponent’s record of four Europa League titles. In fairness, the tune sums up the Liverpool mentality right now perfectly. Under Jurgen Klopp, we’re heading in the right direction – so we should sit back and simply enjoy the ride.